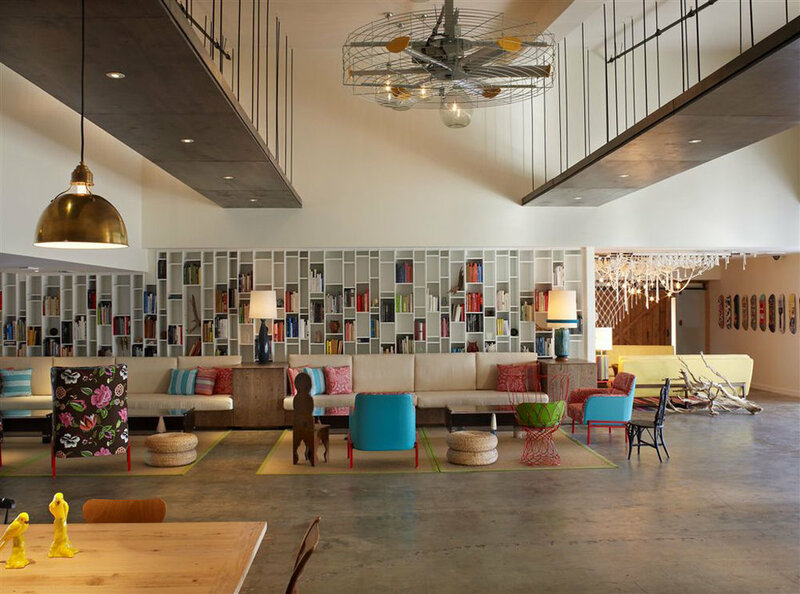 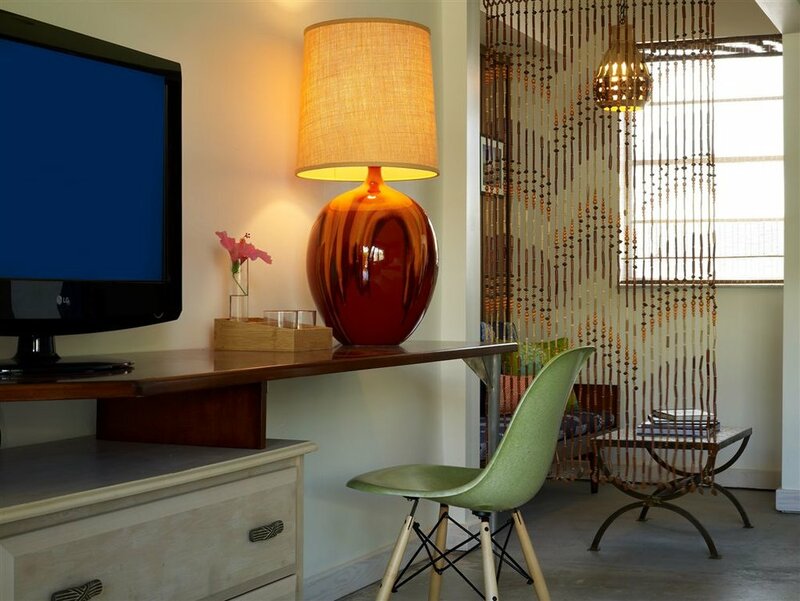 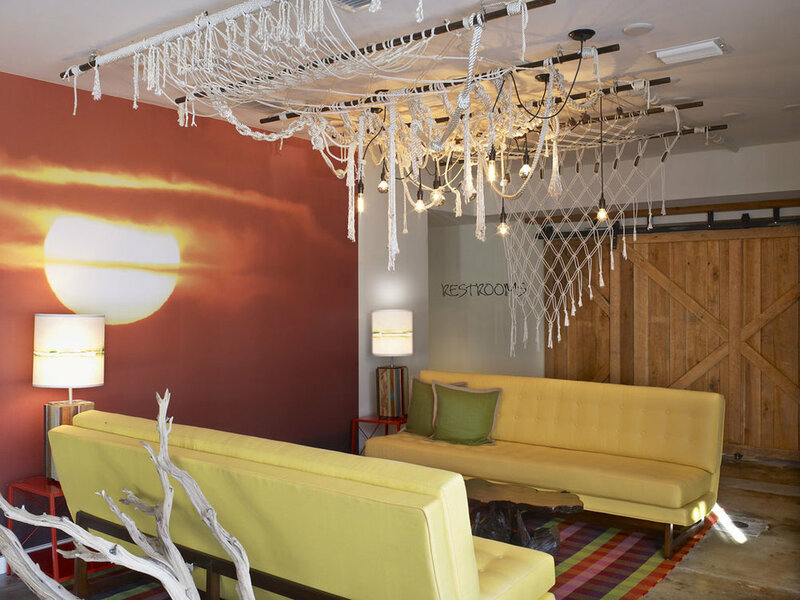 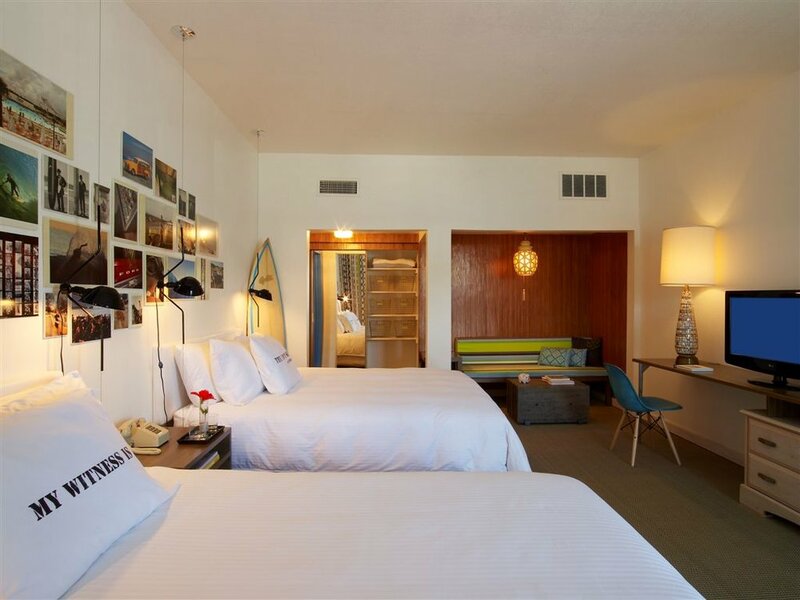 A renovation of an existing 60’s era motor lodge, the Postcard Inn is a prototype budget concept hotel for one of the world’s largest hospitality companies. 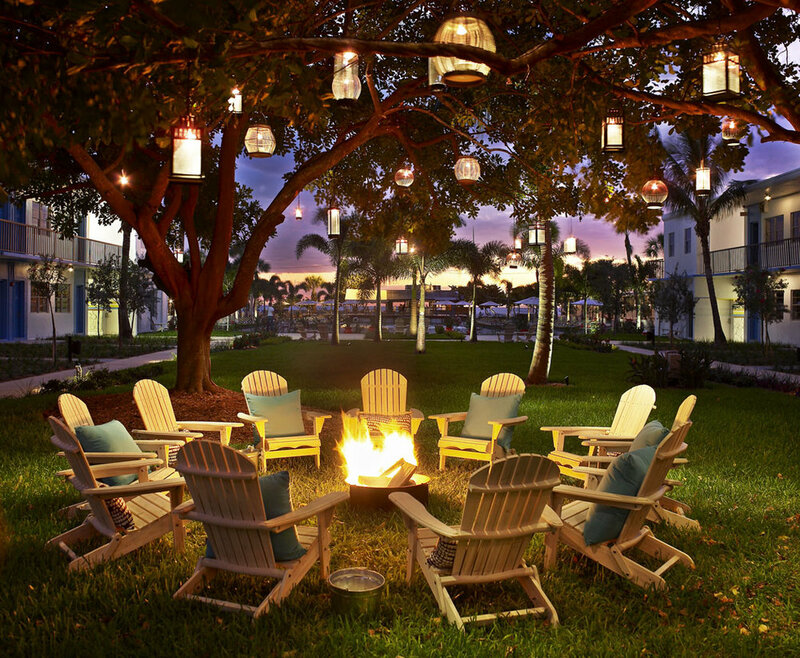 Located on the beach in St. Petersburg, FL, the hotel includes 196 guestrooms, a new three-meal restaurant, pool bar and quick service restaurant, as well as meeting rooms, lobby and a tent-inspired lobby lounge for buffet-style, continental breakfasts and private events. 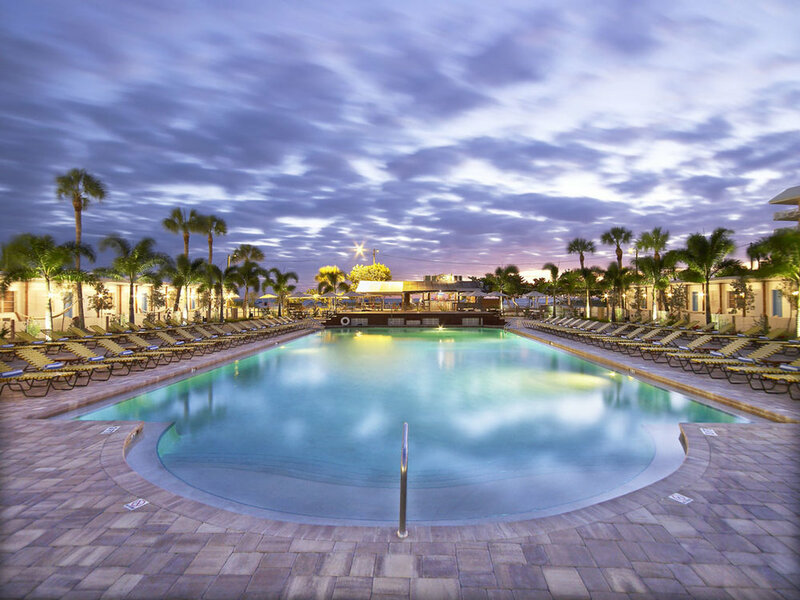 Completed for a total project cost of less than $6,000,000, the fast track project went from concept to completion in approximately ten months. 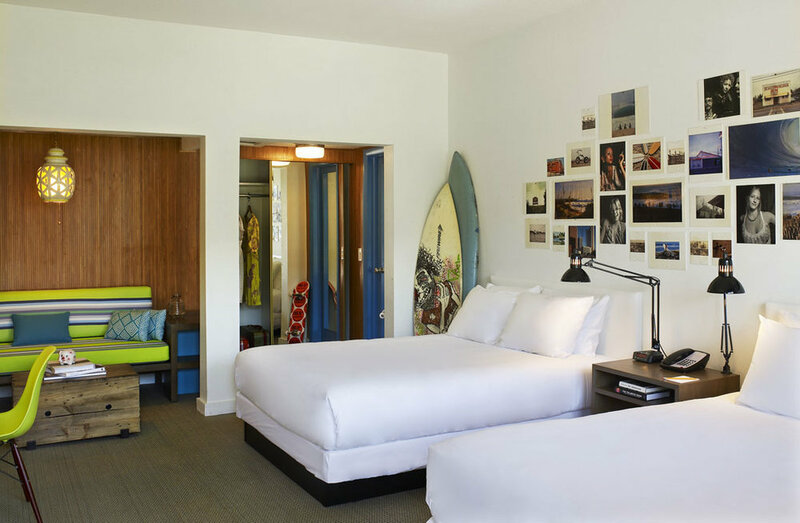 Asked to develop the concept for a new national brand, the design team sought to create a space geared toward regional travelers in secondary markets in the context of the relaxed, vintage beach style of the area and the do-it-yourself ingenuity necessitated by the budget. 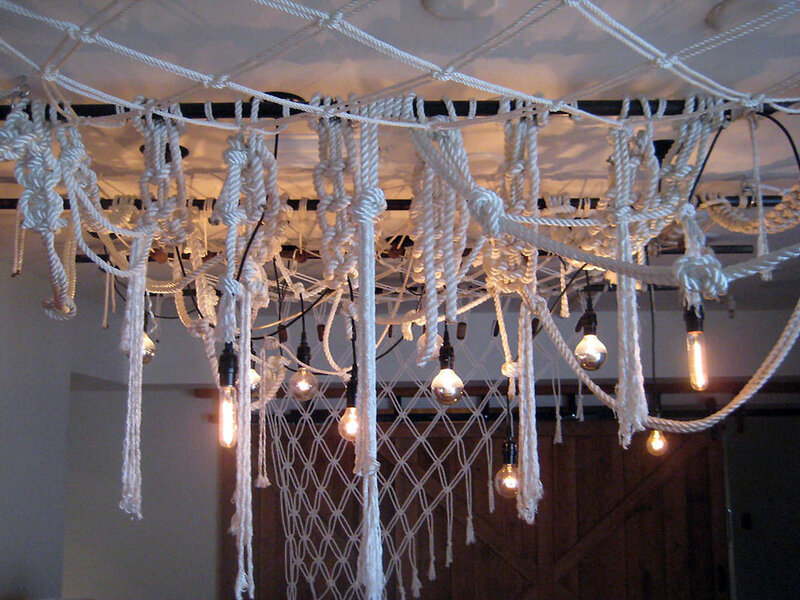 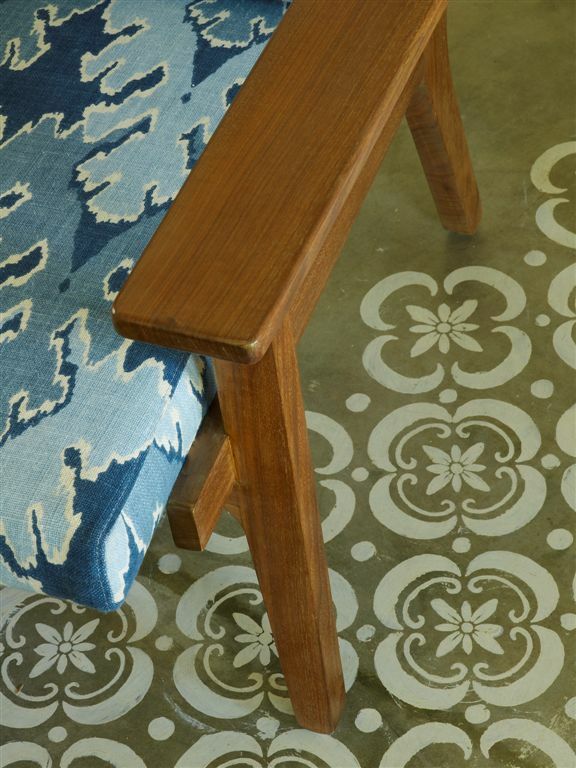 The public spaces include an on-site macramé installation of 1,000 feet of rope and lights and custom, hand-dyed string drapes fabricated by the designers, as well as stenciled concrete floors in the newly exposed two-story Lobby. 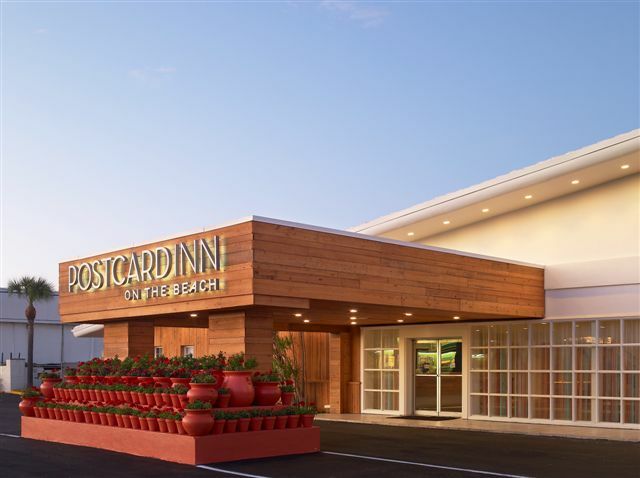 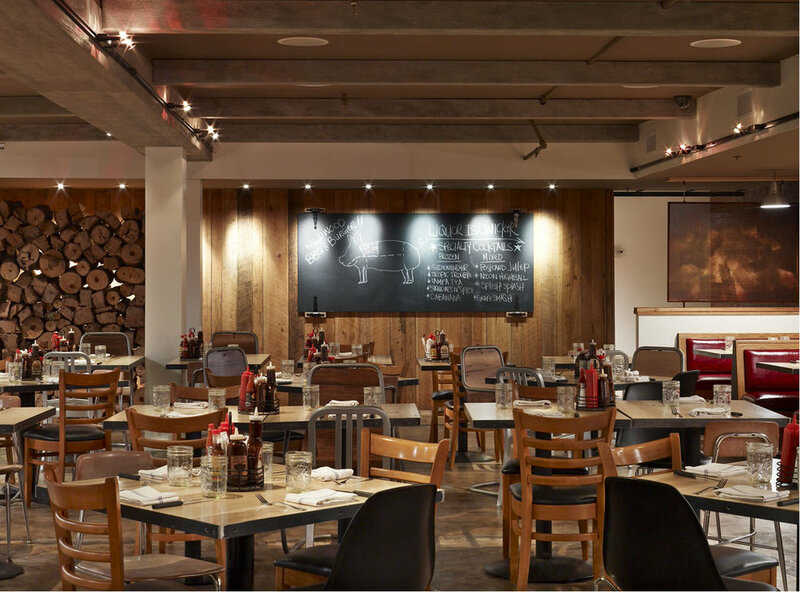 Three food and beverage outlets include a communal dining area with a la carte breakfast service, a three-meal, sit down restaurant, and a beachside bar and grille. 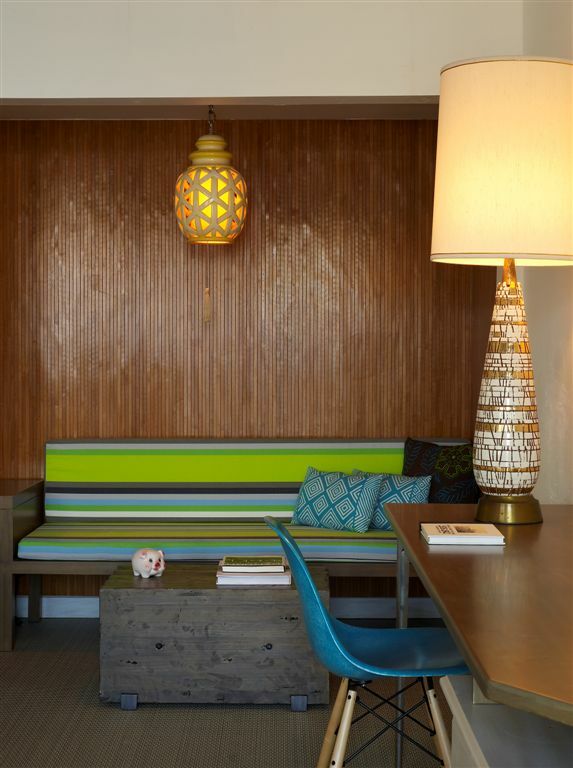 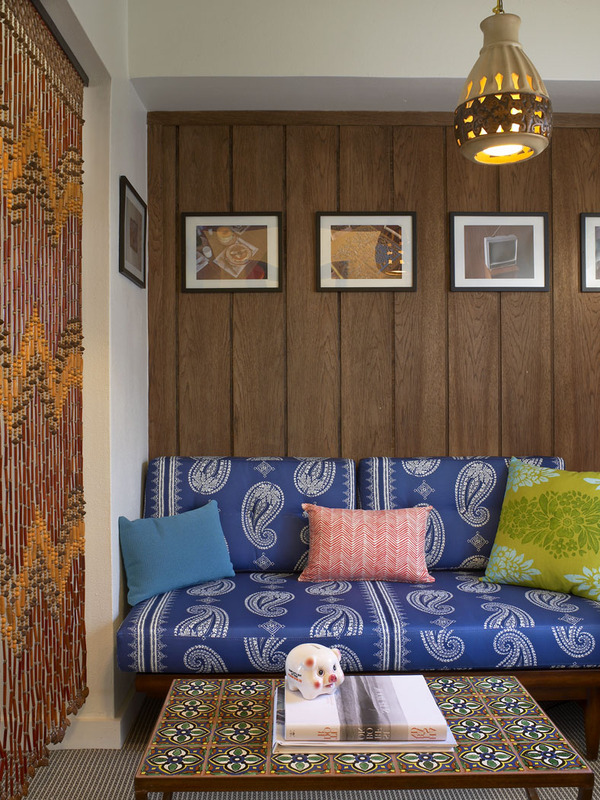 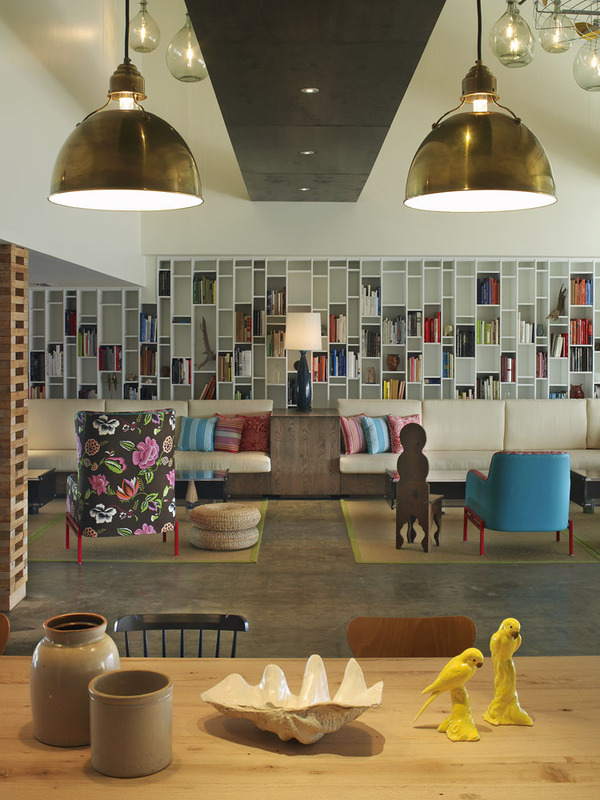 Three distinct design schemes were developed for the various room types including the bohemian surfer styling of the poolside cabanas that include private lawns with hammocks, and the vibrant super-saturated color palette of the junior suites that were fashioned by removing the existing kitchenettes and replacing them with upholstered sofas and occasional tables fabricated from reclaimed driftwood. 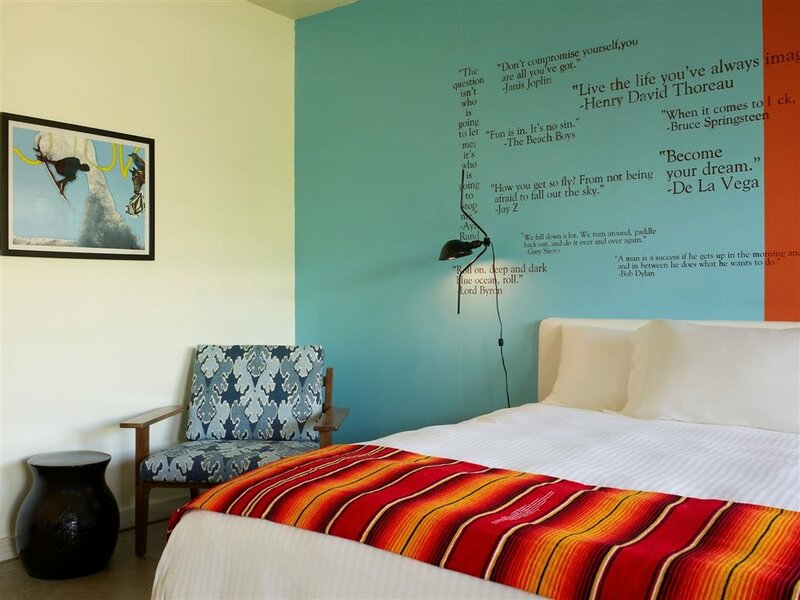 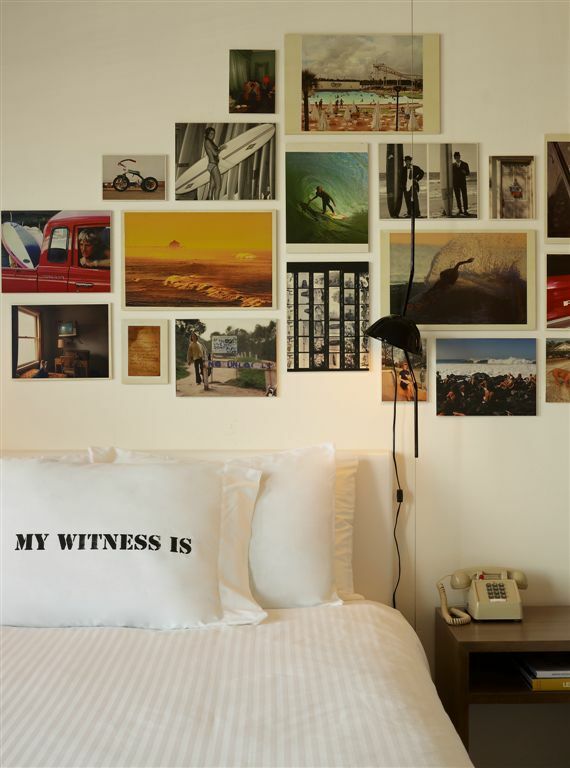 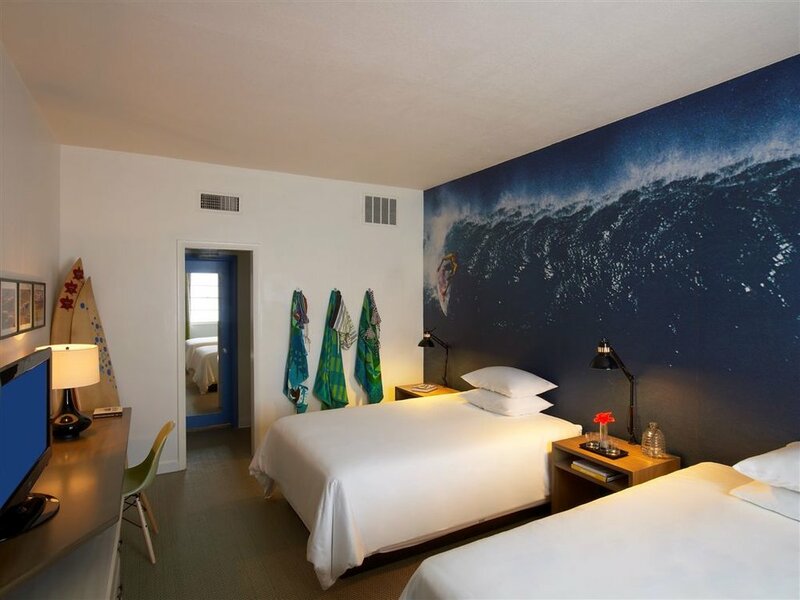 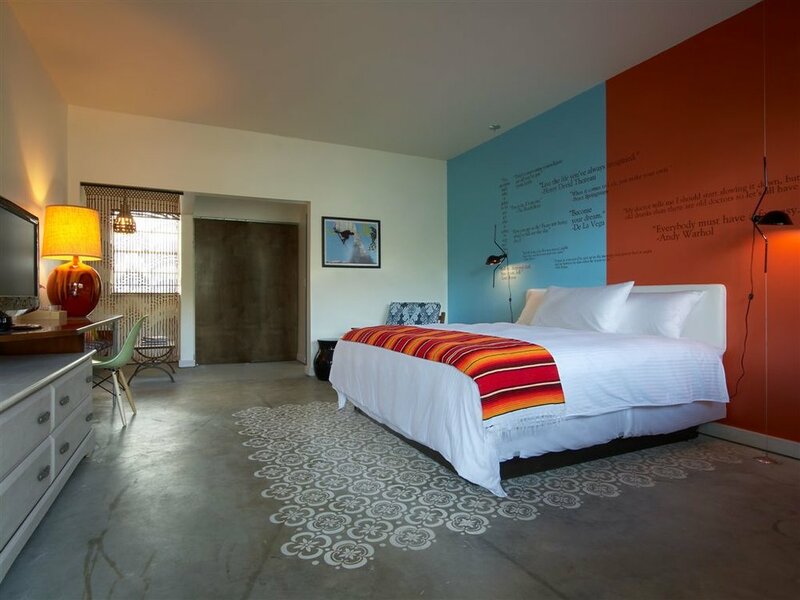 Typical guestrooms feature photo murals of local surfers on the headboard wall, and all rooms include surf boards and vintage task lighting to make each experience unique.